It’s becoming soberingly clear that machines have the advantage (or are at least catching up rapidly) when it comes to performing exclusively cognitive tasks like dominating humans in chess, Go, or learning how to bluff during poker games. 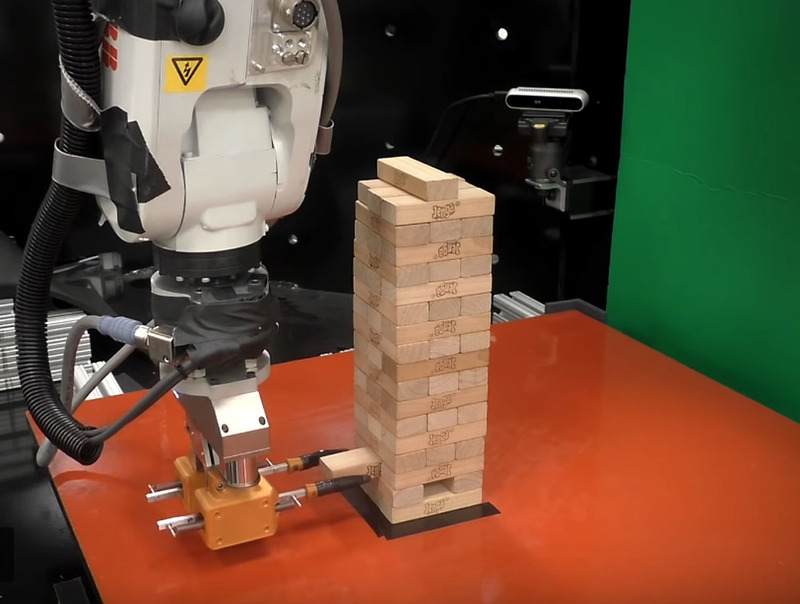 While a well-rounded, human-like artificial general intelligence that can accomplish a diverse range of tasks is still some ways off, there’s nevertheless other horizons for intelligent machines to conquer — such as mastering Jenga. MIT’s robot makes it look easy, but there’s actually a lot going on under the hood here. 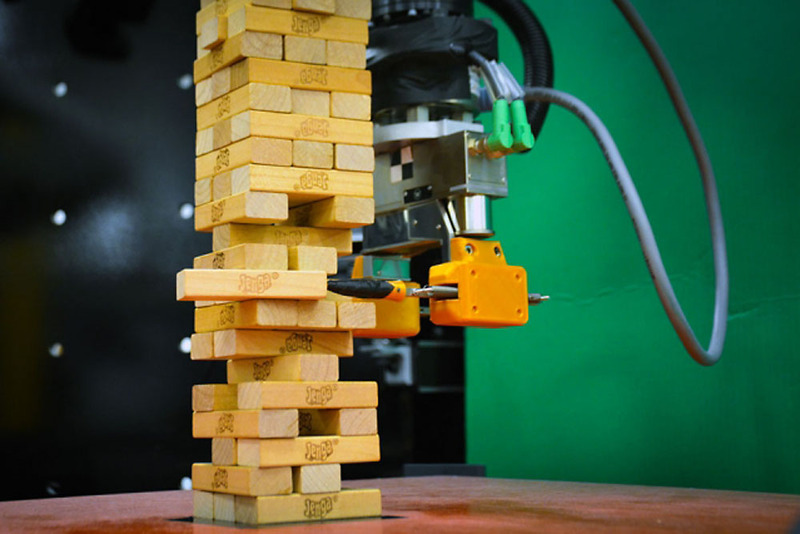 For most robots, learning to play Jenga well is difficult as they aren’t particularly proficient in what is known as tactile reasoning — the ability to perform a task using clues gleaned from physically touching and interacting with objects. To build a robot with a more developed sense of tactile reasoning, the team created an AI model that emulates how humans might approach such a feat — by first learning the game through a short initial period of trial-and-error, and then using tactile and visual data from its previous attempts to infer how future actions might influence the behavior of blocks. More specifically, the team used an ABB IRB 120 robotic arm, in addition to a temporal hierarchical Bayesian model. 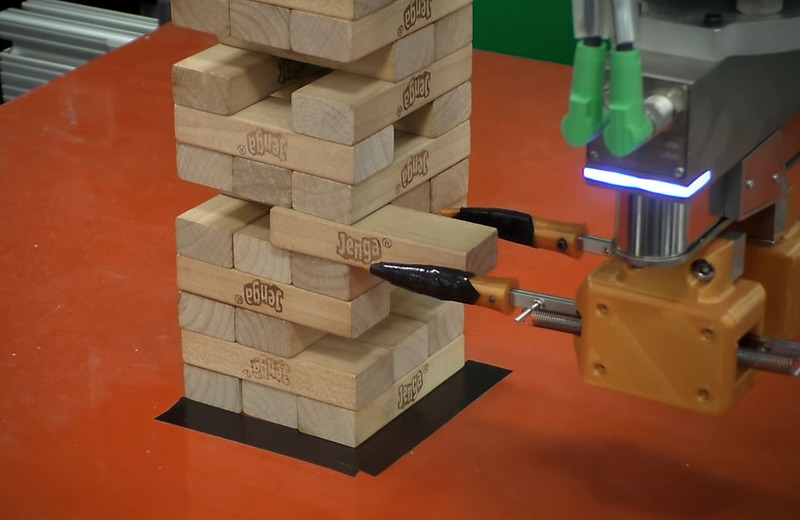 Each time the robotic limb makes an attempt to push and relocate a block, the system records the resulting visual and tactile measurements, and whether the attempt succeeded or not. The system will then adjust its behavior in accordance with its current actions and the inferences it makes. In contrast to conventional AI models that might need to be trained through tens of thousands of block-manipulation attempts, the team’s model was sufficiently trained on only about 300 attempts, thanks to its ability to “cluster” data on certain block behaviors, as well as the related physical information. 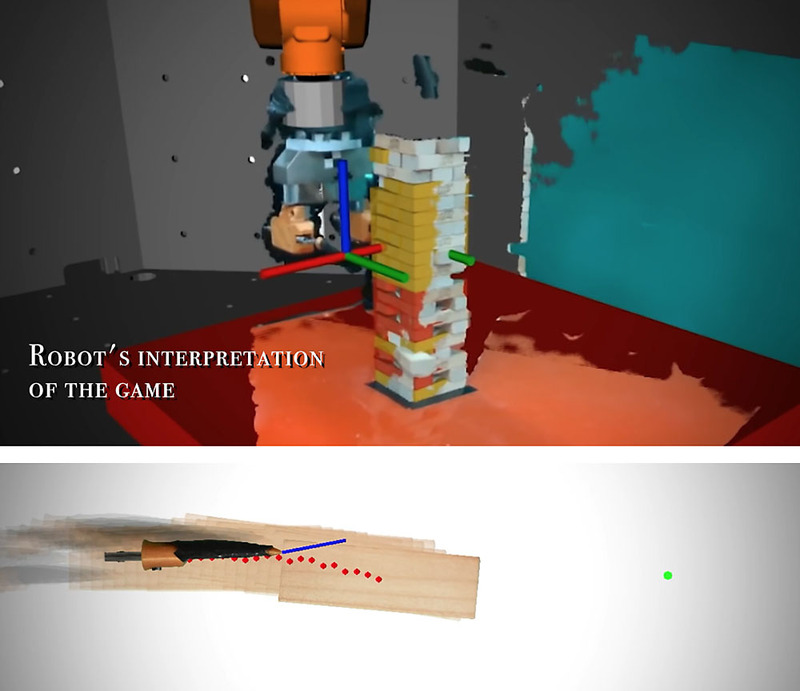 According to the team, this data-clustering technique increases the robot’s efficiency in learning the game by allowing it to group possible outcomes based on previous experience, therefore enabling it to predict whether it will be able to successfully move a particular block, using current visual and tactile data. “The robot builds clusters and then learns models for each of these clusters, instead of learning a model that captures absolutely everything that could happen,” noted MIT graduate student and lead author Nima Fazeli. When testing their model against other machine learning algorithms in simulations, the team discovered that other models would require “orders of magnitude more towers” to successfully learn the game. 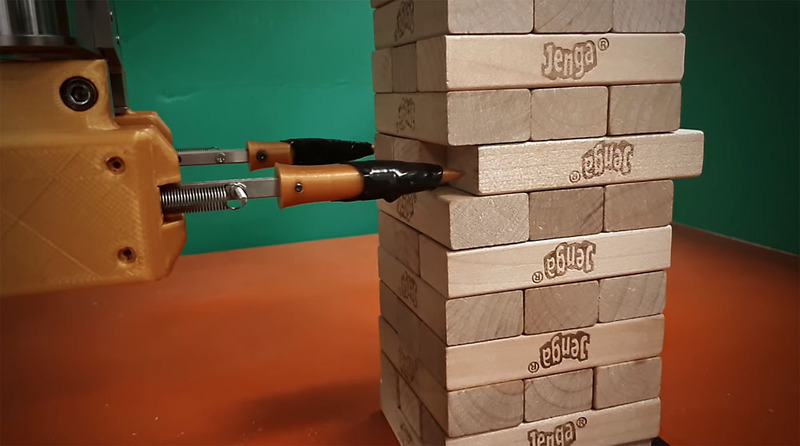 The team even pitted their system against human volunteers and found that the robotic arm fared almost as well as a human might, though there’s still some room for improvement before their robot can compete strategically against human Jenga champions. Nevertheless, having a robot that can not only see but “feel” from its actions will be indispensable in other applications beyond playing mere games. For instance, an army of such dextrous bots would be well-suited to assembling tiny electronic parts or assisting in surgical procedures — although such implementations will no doubt hasten the robot takeover that’s already underway. Read the paper over at Science Robotics.